Did you know that massage can speed up muscle recovery? Muscles that are massaged after exercise recovered 60% of their strength in the following days while muscles that weren’t massaged only regained 14% of their strength. When you massage the muscles after exercising you are stimulating blood flow to the area to repair and replenish the muscles speeding up the recovery process. You also break down damaged fibers in the muscles caused by exercising thus giving the body less work to do. Massage helps the body recover from the stresses of strenuous exercise, and facilitates the rebuilding phase of conditioning. The physiological benefits of massage include improved blood and lymph circulation and muscle and general relaxation. These, in turn, lead to removal of waste products and better cell nutrition, normalization and greater elasticity of tissues, deactivation of trigger points, and faster healing of injuries. It all adds up to relief from soreness and stiffness, better flexibility, and less potential for future injury. Did you know that massage can help with PMS? PMS (or Premenstrual Syndrome) is a combination of physical and emotional symptoms that most women experience during the week prior to menstruation. Abdominal massage techniques can help ease those symptoms. Some of these symptoms include headache, fluid retention, cramping, back pain, breast tenderness, weight gain, constipation, lack of sexual desire, and fatigue. The symptoms occur because hormone levels rise and fall during a woman’s menstrual cycle, rising 1-2 weeks before menstruation, and slowly declining after the period starts. 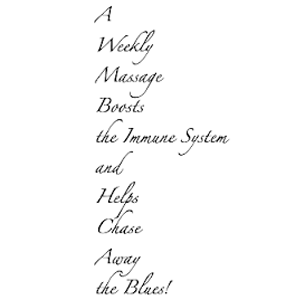 Did you know that massage can BOOST the immune system? If you’re looking to boost your immune system – the first defence against disease – consider getting a massage before popping those pills. What was previously considered a “luxury” is rapidly gaining popularity as a way to improve mental and physical well-being. Massage helps the body increase disease fighting White Blood Cells which fight off killer cells in the body. Did you know that massage can help with anxiety and Depression? Massage also increased serotonin and dopamine, neurotransmitters that help reduce depression. Massage therapists can be confident that Massage Therapy has been scientifically demonstrated to reduce anxiety and depression, and that the benefits are substantial. Indeed, there are probably no other effects in massage therapy research that have been as consistently demonstrated as these mental health benefits. I was given Lumiere hair beauty & massage number from a friend, and have been going weekly (sometimes twice weekly) for my specialized massage treatments for the past year. Within three months of seeing the wonderful therapists at Lumiere my menstrual pain had stopped, my IBS and gut problems disappeared, and within six months my anxiety, depression, and insomnia had all gone. It felt like the intense grief I was walking around with had left my body. I felt more settled, centered and happy within myself. In the last six months, I have felt less pain in my body and continue to gain more energy. I have not had any night sweats, fatigue, viral symptoms, anxiety or depression in over six months. I am ecstatic at the results! 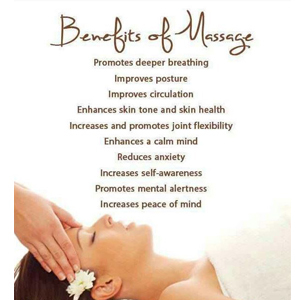 Did you know that regular massage has many benefits to offer you? • Improves waste removal processes in the body. • Encourages sleep, thus helping with insomnia and other sleep issues. • Helps to relieve stiff and aching joints. • Encourages lymph drainage which can help to reduce swelling. • Improves the blood circulation through the body. • Helps to encourage deeper breathing. • Improves skin tone and colour. • Relaxes and relieves sore and tired muscles. • Can either help to stimulate or sedate the nervous system. • Helps the body to relax. • Can help to limit scars forming after injuries and can also help to break down existing scar tissue. • Massage can help to release muscles that are pressing on nerves, therefore relieving pain or tingling in arms and legs. • Can improve muscle tone and balance, thus giving better support to the skeletal system. • The relaxing properties of massage can help to decrease the heart rate. • Regular massage can actually increase white blood cells, strengthening your immune system. • By relaxing the respiratory muscles, massage can improve lung capacity. • Improving and stimulating digestion. 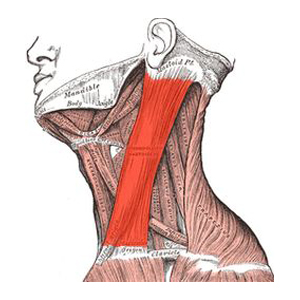 The action of the anterior and middle scalene muscles is to elevate the first rib and laterally flex (bend) the neck to the same side; the action of the posterior scalene is to elevate the second rib and tilt the neck to the same side. Because they elevate the upper ribs they also act as accessory muscles of respiration, along with the sternocleidomastoids. In applying some of these treatments you will find instant relief, mobility in your range of motion, breathing, posture, pain alleviation and so much more. 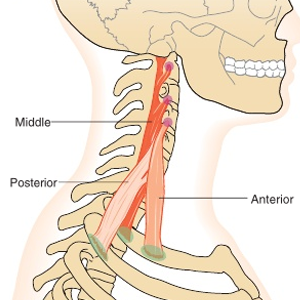 The primary actions of these muscles are the rotation of the head to the opposite side and flexion of the neck. Upper Part: Upward rotation of the scapula, elevation of the scapula. Middle Part: Retraction of the scapula. 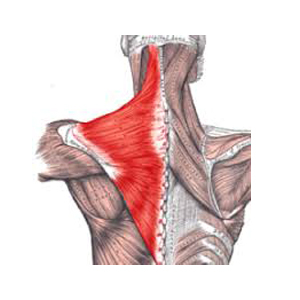 Lower Part: Upper rotation of the scapula, depression of the scapula. 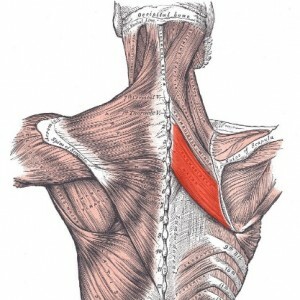 The rhomboids are key muscles in the mid/upper back that squeeze the shoulder blades together and provide stability for the shoulder complex. They are very important postural muscles that tend to become weak due to the prolonged amount of time people spend in seated positions.